* windpro fleece is leak resistant, but it is recommended that pad is changed out every 3-4 hours or as needed to prevent pad getting too saturated. Each cloth pad given gentle care can last anywhere from 3-5 years. It is indeed a sound and environmental friendly investment and will definitely safe you $$ in the long run. Please note that this item is not mean to be used as a medical device. 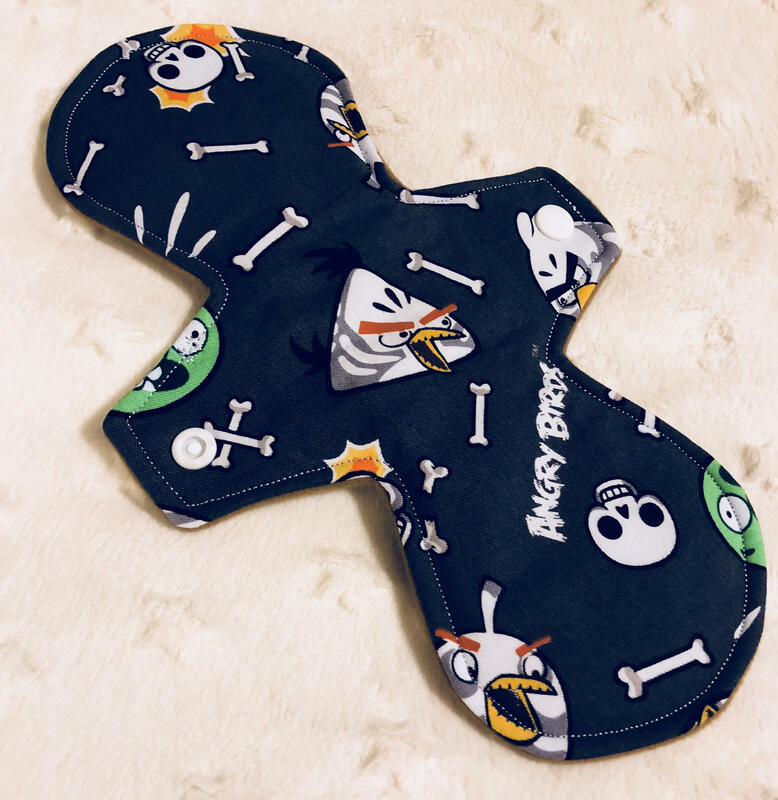 Amazing pattern- so glad to find less feminine products! The ONLY flaw is that the center is slightly narrow for an over night. Fits well wing span wise(no severe bunching), but whether its side sleeping or just heavy flow it is a bit prone to bleeding over the sides. That however is my only complaint. Good product, would recommend the shop! Very soft and came in good time! Due to the nature of the item (Cloth Pads only), there is no refund or exchange on such.